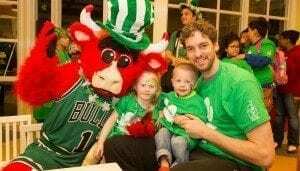 Pau Gasol, Tony Snell and Aaron Brooks were joined by members of the Bulls Entertainment Network, Bulls Radio’s Chuck Swirsky and team ambassador Sidney Green as nearly 75 families celebrated St. Patrick’s Day with a special dinner, games, photo booth and face painter, among other green-themed activities at the Ronald McDonald House near Lurie Children’s. 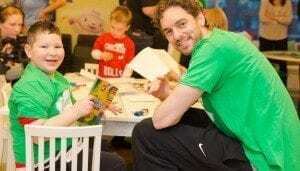 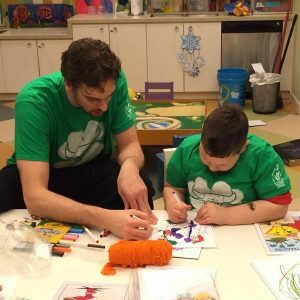 Pau set up shop in the arts and crafts room and spoke about the value in spending time with those on hand. 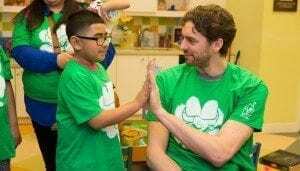 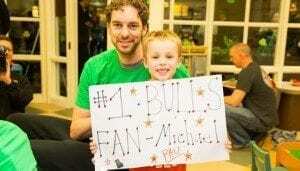 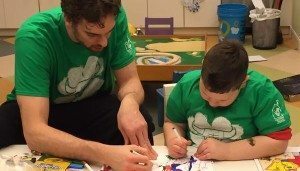 For years, Pau has passionately spent a significant amount of his off the court time in children’s hospitals, making regular visits to cheer up patients. 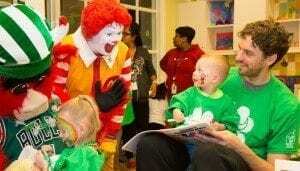 “It touches me. 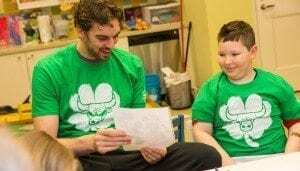 It gets to me and it’s extremely powerful and impactful,” explained Gasol. 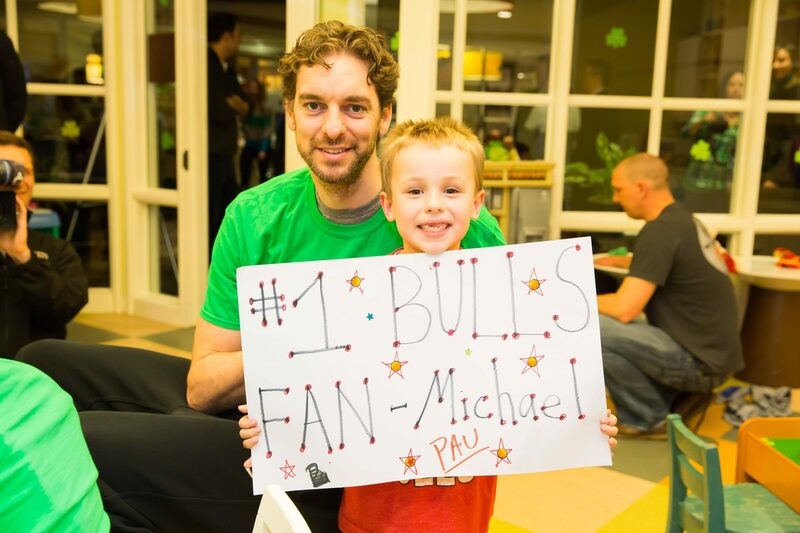 “The interactions that I’ve experienced though my life with kids and families who are going through difficult times make you realize how important the work that is being done at all of the hospitals.